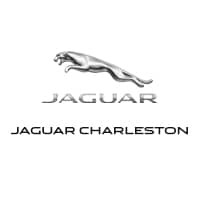 Charleston, WV drivers looking for vehicles with all-wheel drive can trust AWD Jaguar models to deliver luxury interiors, the latest tech and safety suites, and high-performance engine packages. To find out why drivers prefer Jaguar brands with AWD, visit us at Jaguar Charleston near Huntington to schedule a test drive and learn more about offers on all Jaguar models! When you’re ready to experience a Jaguar all-wheel drive model, contact us in the Beckley area today to schedule a test drive and learn about our financing options!